When an instructor assigns an essay to a class, each student works intensively to achieve outstanding grades in the same. But, when the result is revealed, you figure out that despite all the efforts you invested in it, you didn’t get the grade you were expecting. There can be various reasons associated with it. But, we believe that you might be missing on some special and secret ingredients to prepare the best essay. Well, here is the list revealing the top secrets that others might be following and hence securing exceptional grades for self. So get ready as you are going to get some really fascinating formulas to incorporate in your upcoming essay. Deciding the title for the essay: It should not exceed a word limit of 100 characters and should speak for the essay itself. Take your title seriously as it is going to make the first impression for you and your essay. Now as your word limit increases you can divide the body into sub-bodies. Dividing task: Instead of planning to act on everything at once, it is better to divide an essay into structure format and deal with it as a task. As quoted above, when you research you see into the work of others, you get to know other person’s viewpoint and learn about facts that were not known to you. Research is a source of knowledge, that feeds our ideas. But, you should ensure that you develop an understanding of a topic with the help of research rather than stealing other person’s ideas and claiming them to be yours. If you end up doing so, it is considered to be unethical hence, leaving a big question mark on your entire work. In-text citation: Here an individual mentions the source of the data or fact within the document. Reference List: It is a list placed at the end of the document. 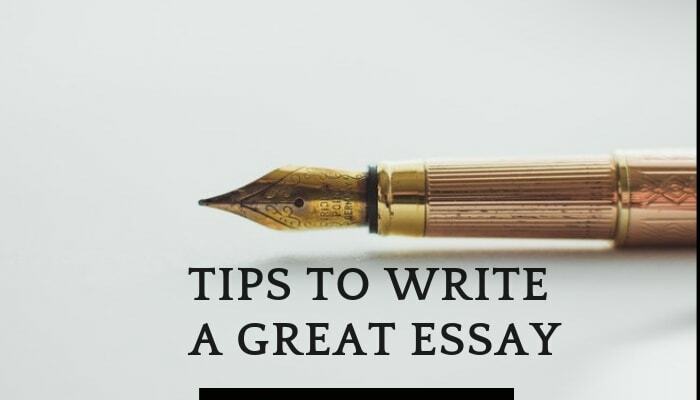 It consists of all the sources that helped as an aid to writing an essay. Make sure you follow the correct format for the same (as it is more than copying the links). The Professor: Well who can guide you better than the professor himself. You can always look up to him and ask for his guidance and get your progress verified. The online writing services: Though, sometimes a professor might not be available for your help. But instead of panicking, just log in to Instant Assignment Help Australia and get the best essay writing services. They have a team of certified writers working for them, who ensure that the best of the essay and the best of the grades drop in your hat. Bottom Line: Everyone does their work, but what really makes a difference is doing it the right way. So, now its time for you to gear up and step out of the ordinary and come up with something extraordinary, by incorporating these ingredients in your essay.